For California seniors, one factor that may impact health is loneliness, according to a recent article from NPR. While cases of elder neglect and nursing home abuse can result in serious personal injuries to seniors, such incidents can result in even more substantial injuries if the older adult is already in poor health. Poor health conditions can be dramatically exacerbated by nursing home neglect, for example. According to the article, isolation is a serious underlying issue that affects the health of older Americans, and it is important to find ways to reduce the loneliness or isolation that seniors may experience. Research studies have begun to look at the effects of loneliness among seniors, and the findings suggest that loneliness and isolation can result in a higher likelihood of health problems. 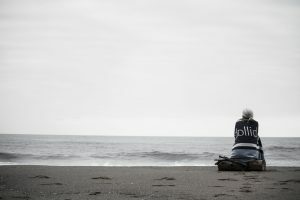 As the article articulates, “research shows older adults who feel lonely are at greater risk of memory loss, strokes, heart disease, and high blood pressure.” According to AARP, the health threat associated with emotional isolation is “similar to that of smoking 15 cigarettes a day.” In addition to increased risk of illness, emotional isolation has also been connected to other conditions that can lower the immune system’s functioning, such as physical inactivity and poor sleeping habits. In some studies, high blood pressure also resulted from loneliness. To be clear, an illness that results from nursing home neglect could lead to loneliness, which could lead to further health complications and conditions. Emotional isolation or loneliness may reduce a senior’s ability to fight off infection or disease, both of which can result from nursing home neglect. If you have concerns about an elderly loved one’s safety or believe that your loved one’s injuries resulted from nursing home neglect, an experienced San Diego elder abuse lawyer can assist you. Contact the Walton Law Firm today for more information.